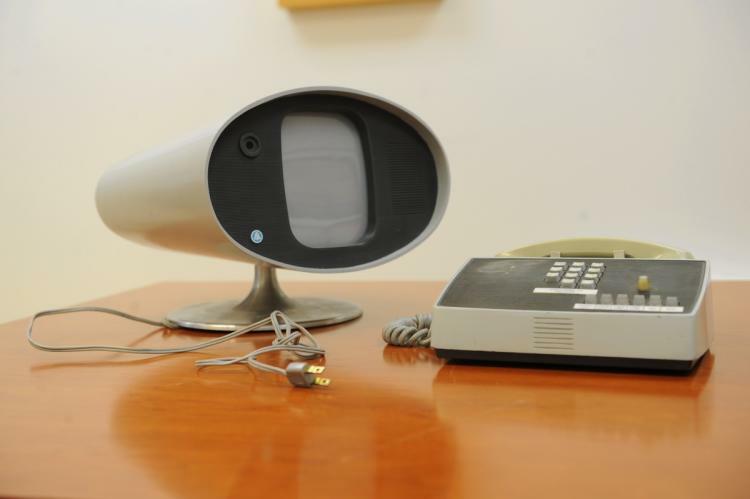 Bell Labs introduced the first conference phones in 1964. The Picturephone was demonstrated at the 1964 worlds fair and must have been mind boggling. In all my years in telecom, I have never seen a Picturephone. It was not a commercial success. Today, Facetime and similar smart phone apps make video conferencing common and nearly cost free. Yet, you rarely see business people using Facetime when conducting business meetings. Most business conference calls involve groups of people in disparate locations. Facetime is limited to two parties. True multi location video conference calling still requires specialized equipment and fairly sophisticated design. We recently designed a conference system for a client with seven locations that needed to accommodate their board room, two large training rooms, and several smaller conference rooms. The system had dozens of microphones and speakers as well as sophisticated mixing and sound management software...not exactly plug and play, and not inexpensive. For most businesses, live video is not necessary. Screen sharing programs allow multiple people to work on a document or share a presentation. They just need to be able to talk to each other and be clearly understood. Most legacy conference phones work on an analog line or analog PBX extension. This presents a challenge when deploying cloud phone services. In order to connect a typical Polygon Soundstation to cloud phone services, you will also need to install an adapter to convert the SIP VoIP of the cloud system to analog. These ATA's, while not expensive, degrade the voice quality and prevent the user from taking advantage of the HD voice inherent in cloud phone services. Several manufacturers have introduced SIP conference systems. 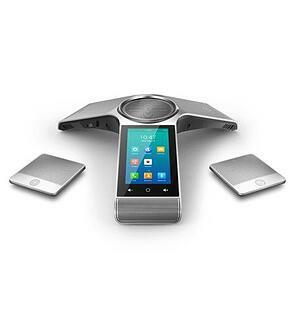 These are conference phones that connect directly to cloud phone services and leverage the HD voice and call processing capabilities of the cloud services. They provide exceptional call quality and are easy to use. These systems employ digital signal processing and advanced noise canceling software to allow large groups in a room to all be heard clearly. SIP Conference systems come in many configurations to accommodate different size rooms, and varied applications. Many include wireless remote microphones, Bluetooth connectivity, and remote speakers. Conference calling is an indespensible business tool. With the proper equipment, you can equip your cloud phone system with amazingly clear and easy to use conferece capabilities. Gregg Haughton has been helping businesses increase productivity, enhance customer service, and lower costs for over 20 years.